Knowledge and information about climate change are crucial for climate action. In order to be successful, adaptation strategies need to make use of the best available climate information, including assessments of recent climatic trends and projected future climate change that may be experienced in the years to come. The climate information needed by local level communities and national governments includes how climate variables such as temperature and rainfall, and the timing and severity of storms and climate extremes may change. In order to be both useful and used, this information needs to be timely, high quality, relevant and accessible. Meeting these needs is the focus of an emerging field called climate services, which aims to bridge the gap between climate science, policy and practice for adaptation decision-making and disaster resilience. This theme, which connects to SEI's Climate Services Initiative, provides some basic climate science background, guidance for understanding and using climate data, insights for effectively communicating climate change, research and examples of how climate information can be integrated into decision-making across levels, and knowledge for the design, implementation and evaluation of effective climate services. Contribute to the development of climate services: SEI would very much appreciate input from climate service users, intermediaries or providers on current issues and the future direction of climate services. Please share your views through the online survey here. Climate science is a vast and complicated area of research. If you are not a climate scientist or meteorologist yourself but you need to engage them and/or the data and the information they produce, then it may be useful to familiarise yourself with some basics of the science of climate change. This category contains some basic climate science background, including frequently asked questions (FAQs) from the IPCC and climate projections and their interpretation. Climate information plays a central role in the planning and development of robust adaptation strategies at all levels, and in advising decision- or policy-makers on climate-sensitive matters. Here, you will find information on and examples of how to access, manage and use climate information, including an 8-step guidance on using the linked resources available in weADAPT and the Climate Information Portal (CIP) developed by the Climate Systems Analysis Group (CSAG), at the University of Cape Town, and information on how to use downscaled climate data and how to handle climate model uncertainty. Effective climate communication is essential for increasing the awareness and acknowledgement of climate risks and the uptake of climate services, from helping communities understand how climate change will impact their lives to getting buy-in for climate-relevant initiatives from decision- and policy-makers across scales. 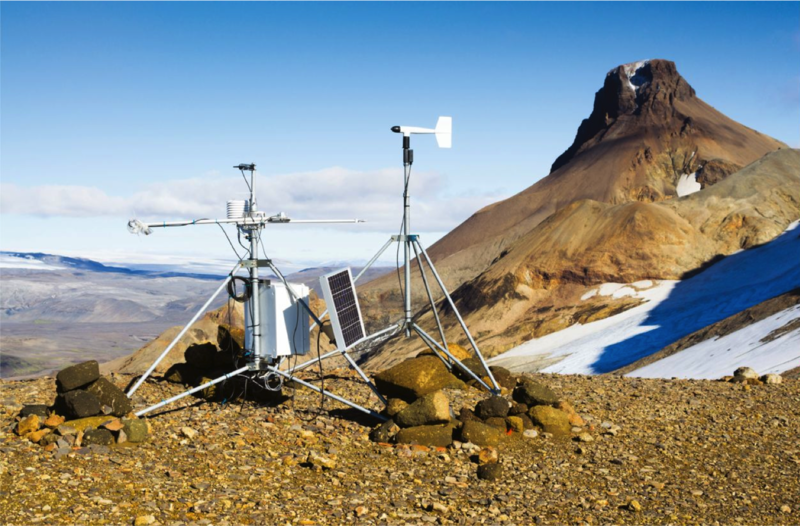 The content included here provides good practice insights for how to communicate various aspects of climate change, such as how to communicate climate uncertainty and novel ways in which to convey climate impacts (e.g. the IMPACT@C web-atlas). Factoring climate information into decision-making across scales is central to reducing vulnerability in the short, medium and long-term. This is particuarly the case in development strategies and planning, where the failure to include climate information in decision-making can result in lock-in to maladaptative pathways. The content included here looks at the use of climate information in decision-making, including how it is being used in decision-making, and how it can be mainstreamed into development planning. For more on relevant methods, tools and approaches see the Adaptation Decision Making theme and the Climate Knowledge Brokers network. Climate services involve the timely production, tailoring, translation and transfer of climate information, ensuring that the most relevant knowledge is effectively communicated, easily accessed and interpreted in order to develop policies and evaluate adaptation and mitigation strategies. The content provided here provides insights and guidance into how to deliver climate services that take into account user needs and that use highly participatory methods to co-produce and co-evaluate the service, ensuring that the information and process is truely tailored, and thereby of maximum benefit, to the user. Co-producing climate knowledge – Great in theory, but how about practice? Climate services have the potential to reduce precipitation and temperature-related risks to agricultural production, boost agricultural yields, and build resilience in rural populations. Reflection on the Third International Conference on Climate Services (2013), where CGIAR showed donors, researchers and practitioners how climate services can work for smallholder farmers. Strengthening user's confidence in climate services and their own ability to interpret and use them is key to achieving greater individual and collective engagement with climate services, the mainstreaming of climate information in decision-making and for obtaining buy-in to support the developmnent of climate services. The content included here provides insights into, and methods for capacity building for climate services across levels. Additional resources specific to building knowledge brokering capacities can be found in the Climate Knowledge Brokers network. Climate services are varied in their structure and objectives. Here you will find different examples of climate services projects, alongside details including how and why they have been developed, the lessons that have been learnt during this process and the outcomes that have been achieved. Global warming is resulting in climate change that is not homogenous across the globe but that has a high degree of spatial variability, impacting different regions in very different ways. The climate change analyses included here show the geographical diversity of climate change projections, and what impacts might be expected in different regions. To see related work on vulnerability assessments, approaches and methods, including impacts on sectors, see the Vulnerability theme.